The Uniqlo AIRism T-shirt is an affordable, versatile, and stylish shirt. It performs well in a number of roles, and for about 10 bucks, it’s a steal. What is a T-shirt? Yes, it’s a style of shirt made out of some type of fabric that’s worn on the body and named after the letter it mimics with its shape. It’s also an exceptionally comfortable clothing staple worn all over the world, and undoubtedly an item you’ll pack when you travel. Their ubiquity may cause some to overlook specific features many companies are offering in their T-shirts, but we urge you to look a little closer at the Uniqlo AIRism T-shirt. If you aren’t inclined to think deeply about T-shirts, we understand. But read these words: there exists a lightweight, breathable, sweat-wicking, fast-drying, stretchy, anti-odor, and stylish T-shirt you can buy for around ten dollars that should meet nearly every one of your travel needs. If you’re sold on the points above, you might just want to skip this review and hit the “buy” button now. 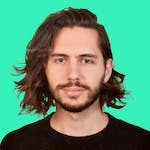 But if you’re not yet sold, let’s dive in a little deeper. If you aren’t familiar with Uniqlo, just know that they’re a Japanese casual wear designer, manufacturer, and retailer that sells a slew of great products for women, men, and kids. Their products are quite inexpensive, given they control much of their supply chain, but they still hold up well. One of their many product lines is the AIRism series, which is described as, “Comfortable and light as air. AIRism is a new type of innerwear that assures your comfort in any season.” After testing their AIRism T-shirt for a few months now, we wholeheartedly agree with this. The t-shirt comes in a variety of styles (v-neck, crewneck, tank top), colors (white, gray, blue, black), and is made with a blend of synthetic fabrics (89％ Polyester and 11％ Spandex). To the touch, this blend may feel flimsy or too synthetic, but once you throw this shirt on you’ll feel like you’re wearing a regular cotton tee. The material is durable, too. We haven’t noticed any signs of wear after using these shirts for a number of months now. The only possible downside we’ve noticed is that this blend does have a sort of “sheen” to it, which may or may not be an issue depending on your personal preference. We don’t really mind it. One difference between these AIRism shirts and the traditional cotton ones is the weight. Any old T-shirt isn’t heavy to begin with, but it’s easy to notice how light these Uniqlo shirts are. If you’re wearing one under a few layers, you may forget you have one on! That’s a compliment, by the way. It means these aren’t intrusive in any way. And while they do function very well as an undershirt, they also work just as well as a T-shirt you’d wear out and about. Another benefit of these is that they’re longer than the average T-shirt. Measuring against some standard t-shirts in one of our closets, the Uniqlo shirt came in at about three-and-a-half inches longer. This comes in handy when you want to wear one tucked in to your shorts or pants as a base layer. It’ll stay tucked, and won’t come out like a more traditional, shorter shirt might. Overall, we don’t really see the length as a problem, though if you aren’t gifted with ample altitude you may not been so keen on this feature. These AIRism tees are also equipped with quick-drying technology as well as self-deodorizing and anti-microbial/odor features. They dry much faster than a traditional fabric, and we did find that you can wear them a few more times before washing than you would normally. This is a great feature for someone who’s traveling and can only bring a select few items. They also pack down very, very small, which is another reason to consider choosing these tees as your go-to travel shirts. There isn’t much else to say about these AIRism T-shirts, and that’s a positive thing. If there was, it would most likely be something negative. Thankfully, that isn’t the case. These are great shirts at an incredible value. Taken right out of the package and worn for a whole day, it looked and felt great. Just as good as day one. Very lightweight and hardly takes up any space when packed. A snug and embracing fit that feels great when it’s on. The material feels a little flimsy and synthetic when feeling it with your hand. Might be a bit too long for people who are on the shorter side. The fabric has a slight shine/sheen, which some might not like. 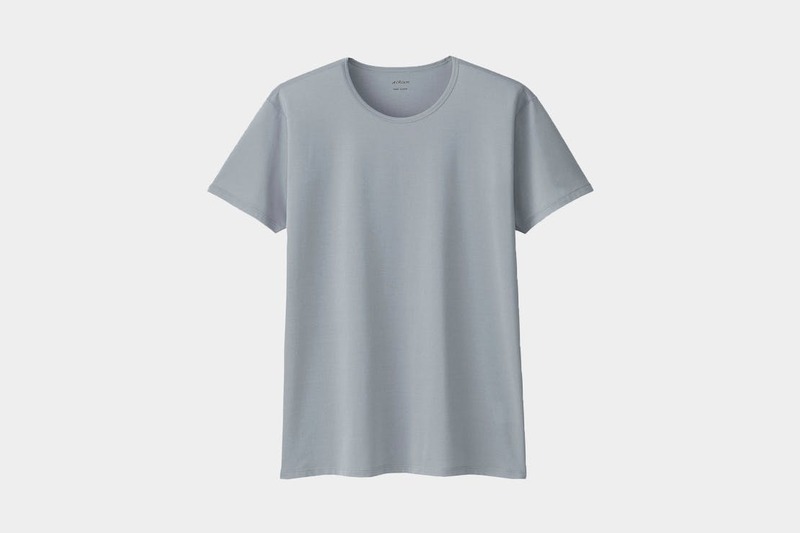 The Uniqlo AIRism T-shirt is a great all-around T-shirt. It functions well as an undershirt in an office setting, as a workout shirt, or a base layer when you’re in cooler environments. 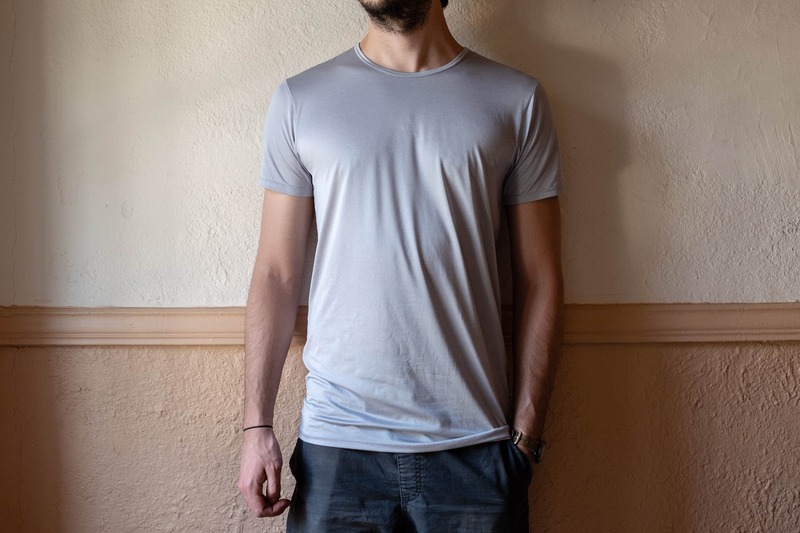 The shirt also wicks away sweat and possesses anti-microbial/odor properties, allowing you to wear it more times than a cotton T-shirt before a wash. And at only $10, you really should pick one up and add it as a staple to your travel-clothing arsenal.